New research which brings together the views of the world's leading experts has concluded that non-drug approaches should be prioritised in treating agitation in people with Alzheimer's disease. 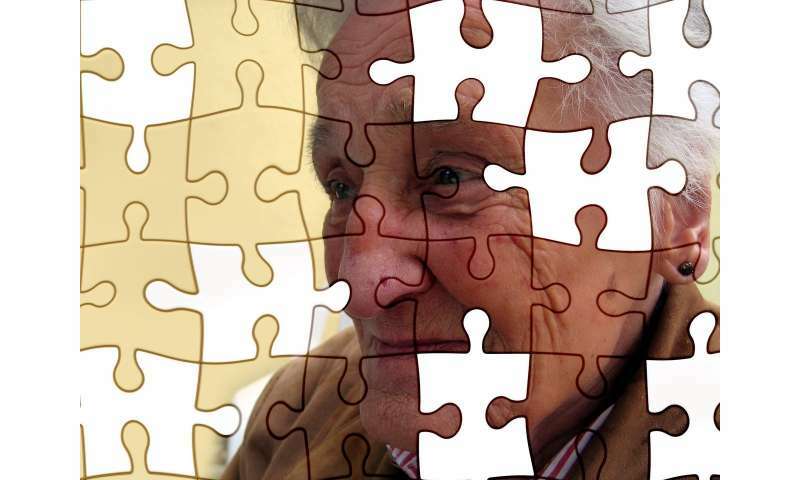 The research, published in International Psychogeriatrics and led by the University of Michigan, the University of Exeter and John Hopkins University, provided more specific guidance on the management of behavioural and psychological symptoms in people with Alzheimer's disease. It gives the most specific and targeted treatment for psychosis and agitation. Both symptoms are common in dementia and have a significant impact on individuals, families and carers. The International Delphi Consensus paper incorporates views of a panel of experts from across the globe, who have both clinical and research expertise. Undertaken as an International Psychogeriatric Association taskforce, it brought together the latest evidence on how best to treat symptoms such as psychosis and agitation, to help get the best treatment for the 40 million people with dementia worldwide. By ranking available treatments in order of the quality of evidence, the paper provides guidance on the order in which clinicians should prioritize treatments. For treating agitation in people with dementia, the first four highly ranked treatments were all non-pharmacological approaches. Assessment and management or underlying causes, educating caregivers, adapting environment, person-centred care and a tailored activity programme all ranked more highly than any of the pharmacological treatments. The highest ranked pharmacological treatment was the antidepressant citalopram, which came in at number six. Of note, of the currently used atypical antipsychotic drugs only risperidone reached consensus as a recommended treatment, at number 7 in the list. Helen C. Kales, MD, director of the program for positive aging at the University of Michigan and research investigator at the VA Center for Clinical Management Research noted: "This research advocates a significant shift from current practice, recommending that non-pharmacological treatments are a first-line approach for agitation in dementia. Aside from risperidone at number 7 in the list, none of the other atypical antipsychotic drugs were recommended. This is a very welcome change, given the known harms associated with these treatments." For the treatment of psychosis in people with dementia, including symptoms such as hallucinations and delusions, the panel advocated a thorough assessment and management of underlying causes as the first approach. The atypical antipsychotic risperidone came second, as the only pharmacological treatment with any supporting evidence that it works. This highlights a particular gap in the treatment of psychosis in people with dementia, which is a distressing and disabling symptom, and emphasizes tis as a priority area for further research. Overall, the DICE (describe, investigate, create and evaluate) therapy approach, which involves identifying triggers, and using music were both found to be effective in managing symptoms without prescribing drugs. Clive Ballard, Professor of Age-Related Diseases at the University of Exeter Medical School, said: "Symptoms such as psychosis and agitation can be particularly distressing and challenging for people with dementia, their carers and their families. Many commonly prescribed medications can cause harm, in some cases significantly increasing risk of stroke or death. We now know that non-drug approaches are the best starting points and can prove effective. This research provides more specific and targeted guidance to support clinicians to give the best possible treatment options." Are antipsychotic drugs more dangerous to dementia patients than we think?